The head of Forgotten Key, the developer behind Aer: Memories of Old, announced today that the studio is preparing to close. In a blog post, Robin Hjelte writes that the studio wasn’t able to sustain its growth through sales and partnerships and will likely shut down soon unless a last-minute deal can be made. Along with thanking players for their support, Robin uses the post to try to secure a future for the studio’s staff and in-progress projects. The post concludes with a list of staff members and their contact information, an extremely welcome gesture at a time when we’ve become used to big studios shutting their doors or laying off huge portions of their employees without warning or acknowledgement. Of more immediate interest to those of us who aren’t looking to make games of our own, Forgotten Key has also released prototypes of the two games it had in development on itch.io. Vind was to be a fairly straightforward follow-up to Aer, building on a lot of its core mechanics. 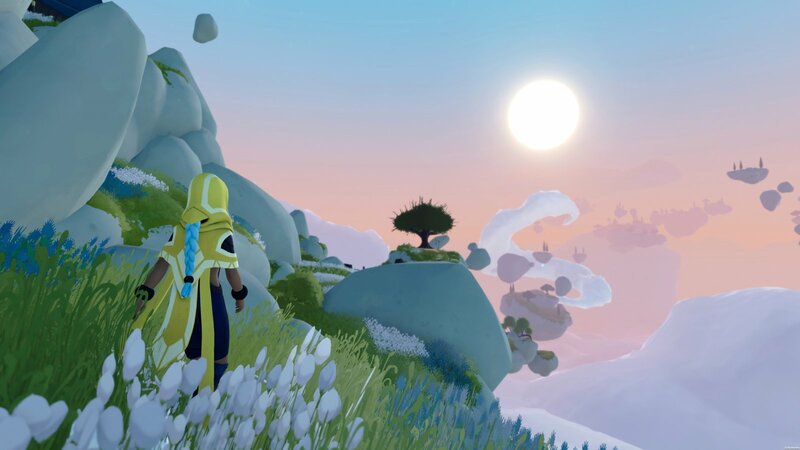 Its trailer should look familiar to anyone who played Aer, as it features a character who can turn into a bird at will solving light puzzles and exploring a beautiful, relaxing world. Down the Well looks like a much different game, sending players deep underground. It’s far more foreboding than Aer or Vind, but the trailer doesn’t give much away in terms of gameplay. In addition to sharing demos of these two games on itch.io, Robin writes that they plan to keep Aer available for purchase indefinitely. Nonetheless, now might be a good time to give the game your support if you’re interested.